and precious are all things that come from a friend." My family stopped exchanging Chanukah gifts because after so many years of giving presents to each other, we ran out of ideas. That wasn't my choice and I was kind of disappointed because I always enjoyed looking for fun presents and seeing people's reactions when they opened them. Fortunately, we still do birthdays! 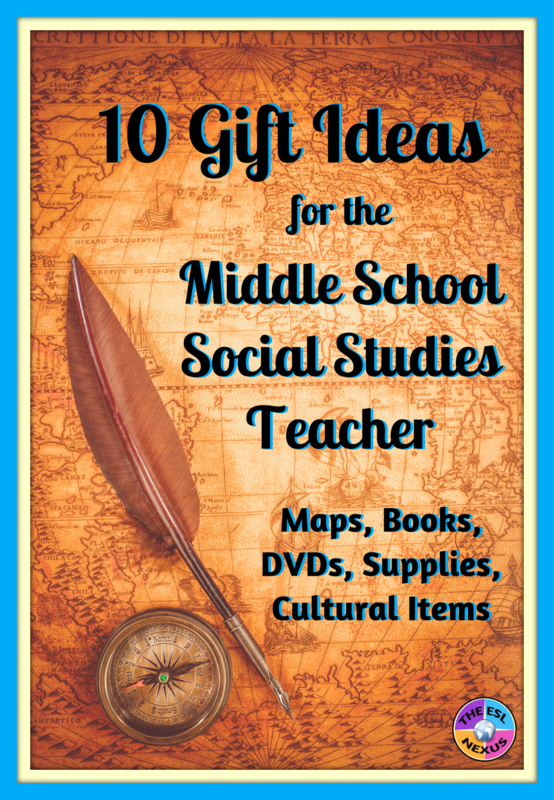 If you know teachers who teach Social Studies to middle school students and you would like to give them a gift -- for Christmas or Chanukah, for their birthday, for Valentine's Day, or just because -- I've put together a gift guide with items they may like. Or, you might like to get something for yourself. Each item is either something I have used with my students or is something I would have liked to have. I hope this gift guide lets you avoid the problem of not knowing what to get for that special Social Studies teacher in your life! I’ve organized the items into 4 categories: Maps, Books & DVDs, Teaching Supplies, and Cultural Items. Below each image, I explain why I’ve chosen it item for this gift guide. I had a Peters Projection world map in my classroom but it was very large and took up a lot of space. This map is just 24" x 36" in size and besides the country names, it includes the names of major cities (not just capitals) as well. Plus, it's also a relief map, which lets you show the difference between political and relief maps to your students. I had a boring old map of the United States that had lots of highways and cities on it. This map is easier to read because it just shows the state capitals. I also like the fun font and the images that are in most of the states. They would be great sentence starters for your ELLs; for example: Why is there a picture of a car in Michigan? This dry-erase map measures 24" x 36" and comes with a marker. I love this series! It contains 8 books about the following ancient civilizations: Mesopotamia, Egypt, Greece, Rome, Japan, the Aztec & Maya, the Inca, and the Celtic World. I wish it also included China but you can't have everything. :-) This collection is great because each book contains historical information, including timelines, that you can use as a reference for yourself and it also has crafts/projects that students can make. And the instructions are clear enough that even ELLs at intermediate levels of language proficiency can follow them. I especially like the project for making a Mesopotamian ziggurat -- my students had lots of fun with that. If, on the other hand, you are teaching American history, you won't go wrong with these DVDs. Liberty's Kids was an animated TV show about the Revolutionary War and I videotaped as many episodes as I could when it was broadcast. Yes, it's old, but it's timeless! I used the episodes as activators with my students. What's great about this boxed set is that it has the extra features from the TV show; you can find the episodes online for free but they don't include the fun educational segments such as comparing life then and now, or the vocabulary games. I wish I'd had this book when I was still a classroom teacher! Learning academic vocabulary was one of the biggest needs of my students and my repertoire of techniques to teach it was not very large. Then I read this book and was amazed at all the different ways there are to teach vocabulary. There are about 20 different techniques presented in this book, which also includes background info about vocabulary instruction. The only thing I don't like is that it's a flip book and spiral bound on top, which took me a bit of time to get used to. Don't let the title fool you -- I used the materials in this book with my 7th and 8th graders without any problem. 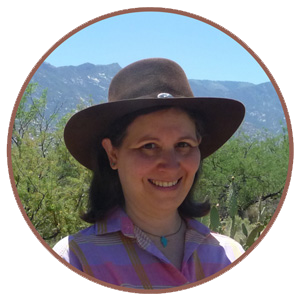 If you are already familiar with Dina Zike's materials, this book has 150+ pages of background info and her folded paper templates that students can use to demonstrate their Social Studies learning. They are a great way to integrate art with an academic subject as students can draw and color their work. What's also nice about this book is that it's cross-referenced in all sorts of ways so it's easy to find a template that's appropriate for whatever you are teaching. I prefer the colored index cards because I could separate them out by Social Studies topic or the purpose they'd be used for. I often made vocabulary memory-matching games for students to play: Words go on cards of one color, definitions on cards of another color. I like index cards with lines on them because that made it easier to write the definitions on them. I also used colored index cards to write vocab words for playing Charades; each unit had the same colored cards. I didn't use this specific brand of index cards but I'm including them in this gift guide because I think they're a good deal. I couldn't live without file folders! I bought them in bulk every year before school started and often had to buy more as the year progressed. These aren't the exact folders I used because I bought mine at a brick-and-mortar store but they are the same style. Students in each grade -- I taught at least 4 grade levels every year -- had the same color for writing assignments, so it was easy for me to identify and shelve the folders of my students. They put finished work in one pocket and unfinished work in the other pocket. I also gave each of my students a folder to keep their homework organized; I let them choose that color and they could decorate their folder however they wished. And I used folders to organize my own stuff: administrative papers, handouts for each class, weekly progress forms I sent home to keep families informed, ESL paperwork, and so on. I have been fortunate enough to travel to several countries and wherever I go, I like to buy jewelry that is representative of those countries. Then, when I taught about those cultures, I shared the jewelry (and other artifacts I bought) with my students. Sometimes I used it as an activator and sometimes I used it as a writing task, where students had to write a description of the item or explain what they thought it was and what it was made of. However, not everyone is able to go to the countries they are teaching about. So I found this company that sells jewelry based on museum reproductions. To be perfectly honest, I haven't bought anything from them so I can't personally vouch for the quality but the items look real nice and they come in a range of prices. The item above shows a pair of Egyptian Scarab Engraved Carnelian Earrings. There are 20 pages of items, including a collection of cuff links for your male teacher colleagues. Last but definitely not least, you can hang this Evil Eye pendant in your classroom to ward off negative vibes. I had an Evil Eye magnet of about the same size that I bought in Turkey and I put it on the white board at the front of my classroom. I wouldn't say that nothing bad never happened...but who's to say things wouldn't have been worse if I hadn't had my Evil Eye magnet in my room!? I hope this helps you find some gifts for your middle school Social Studies-teaching friends, colleagues, relatives, and of course, yourself. Enjoy! P.S. My friend Jenny from Art with Jenny K has put together a great holiday gift guide for teachers. Take a look HERE!